A Work Plan is like a ‘Vision Document’ that outlines the broad spectrum within which a particular idea will be executed in a planned manner. For Nonprofits, preparing an impressive Work Plan is very important as funding depends on how well your plan conveys the right message to the reader/viewer/listener. 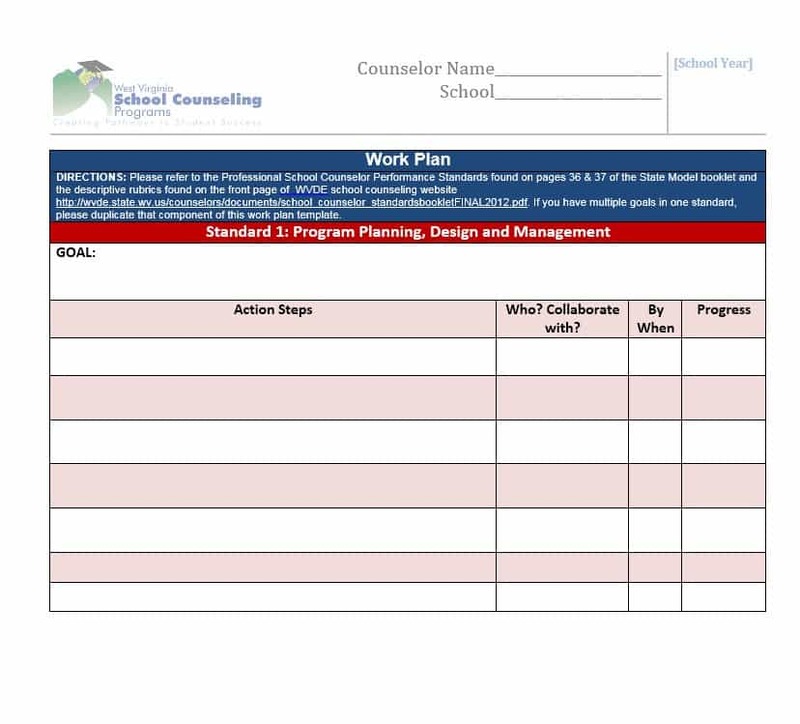 How to Create a Nonprofit Work Plan ? 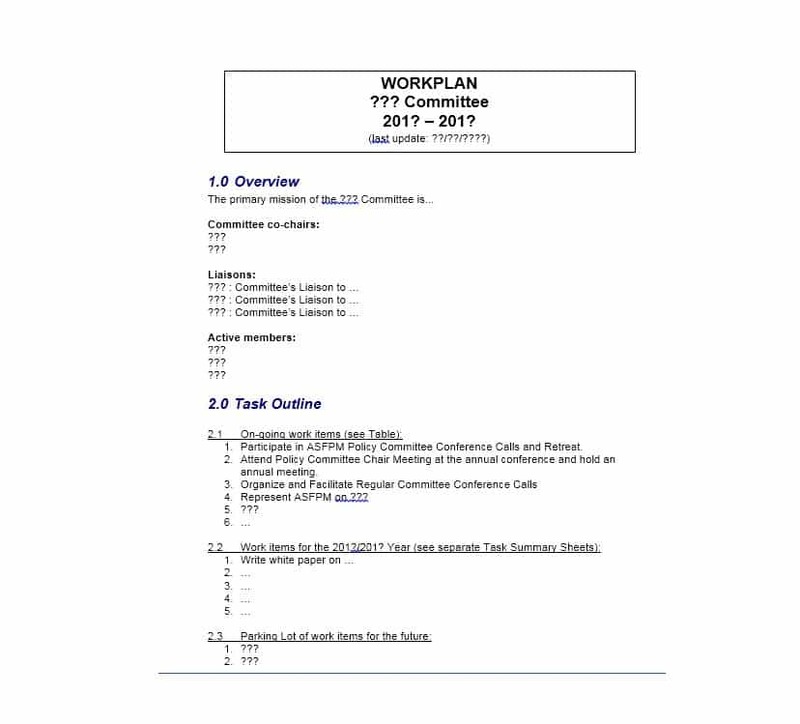 Below are the outlining steps, showing, How to Create a Nonprofit Work Plan with 5+ examples. 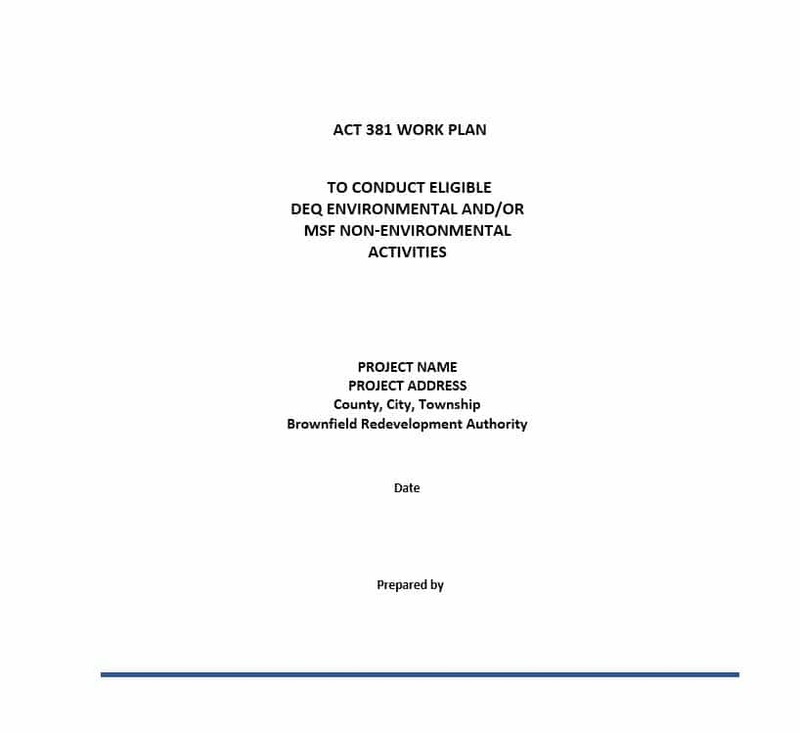 A clear and concise description of the project work should be clearly outlined at the very beginning, so the purpose of preparing the Plan is understood by the reader/viewer/listener. The details of the key issues that the said project is going to be facing, should be communicated clearly. These issues are identified during the assessment stage of planning. The end result or the goals that the said project aims to achieve should also be outlined clearly. Without it, there is hardly any chance of the project getting approval. The key strategies that you aim to employ, in order to achieve the end objective, makes a great impression and let others know that you have given a lot of thought while making the Plan. Clearly outline the Budget that will be required at each step of the said Project and how you aim to mobilise the same. This will show the other party what all is still required and how much they are required to donate. The time required at the various stages to reach the completion of the task, are also to be mentioned with estimations, with some margin kept for unforeseen delays. This will again represent a complete idea to the other party, be it the higher management or the donor. 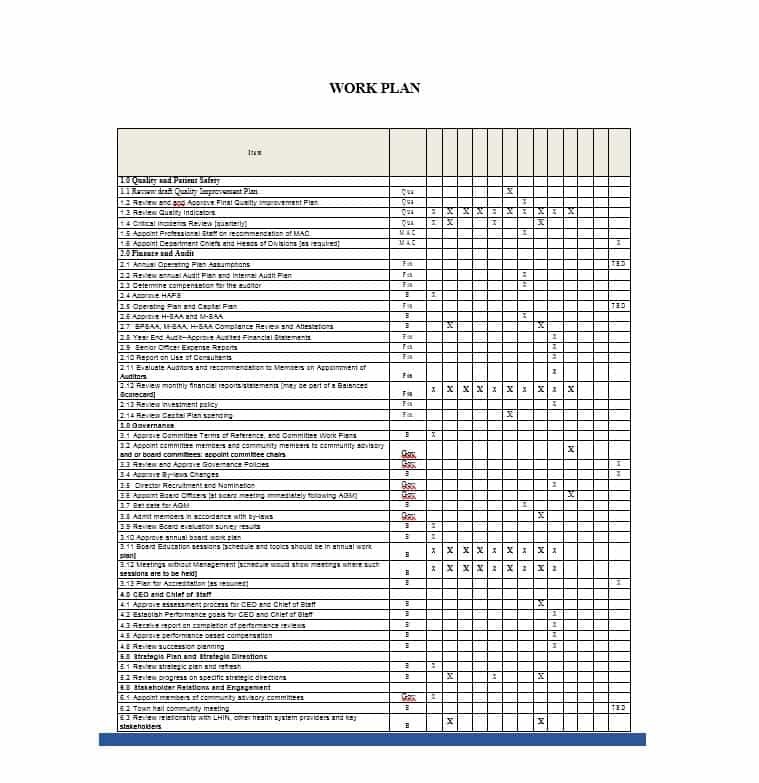 This Work Plan example is a very useful one for those involved in the HealthCare sector. It has all the details required by anyone for great planning. It is simple, free, downloadable and printable. Making use of it will ease out your work as everyone will be on the same page, with the mission statement of the Nonprofit. 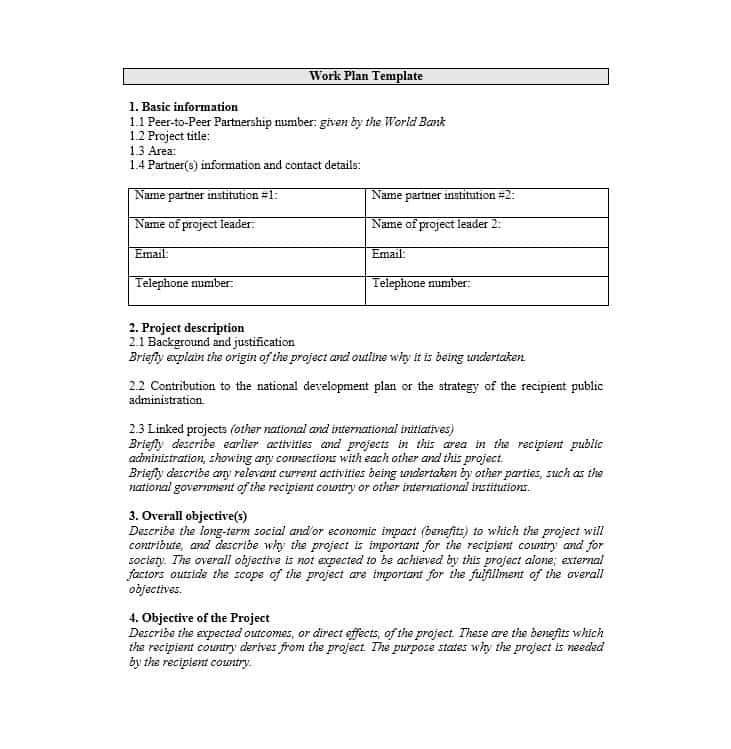 This example of a Work Plan is a generic one and can be used by any person of a Nonprofit organisation for ensuring good planning. This template is in a tabular format and is extremely easy to understand and use it. It is free and downloadable and printable. This format leaves nothing to imagination and has a complete source of information in itself. For those Nonprofits, those are involved in large scale projects and have big corporations as benefactors, this detailed document for a complex and large project is ideal to make all the planning easy for you. This Work Plan will make everyone’s life easy and will be beneficial for both ends of the equation – the donor and the receiver. It is in a very detailed format and is available for free download and is printable too. 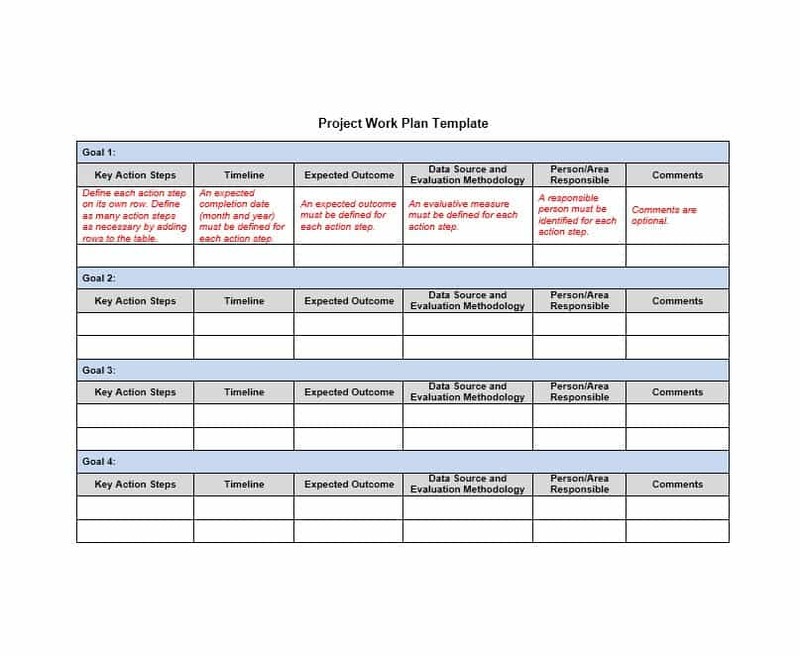 For a Nonprofit, that is working for the cause of saving the Environment, this Work Plan example is a big plus. It has all the details, you need to incorporate to make an impressive plan that is foolproof. It has everything that you need to provide to the reader to make them believe in your cause and make them a part of it by donating something needful. Working for the environment is often a great effort but with this kind of work plan at your disposable, you can affect a turnaround in people’s perception. This sample document is in a detailed format. You need not to worry about how you are going to go about implementing your ideas as this solid work plan would keep the focus of employees and volunteers on the main mission. So, it will be a great idea if you circulate a copy of it among your team members as well. It is always easy to get things done when people around you are aware of what’s the aim and what all needs to be done to achieve it. The Nonprofit which works in Educational sector, can use this simple and informative Work Plan to ensure that they have a clear vision of the way forward. They can easily convince anyone for donations with the information collated in this Plan. Presenting interesting information through this effective sample format is going to leave a good impression on the reader and will easily convince them to donate. 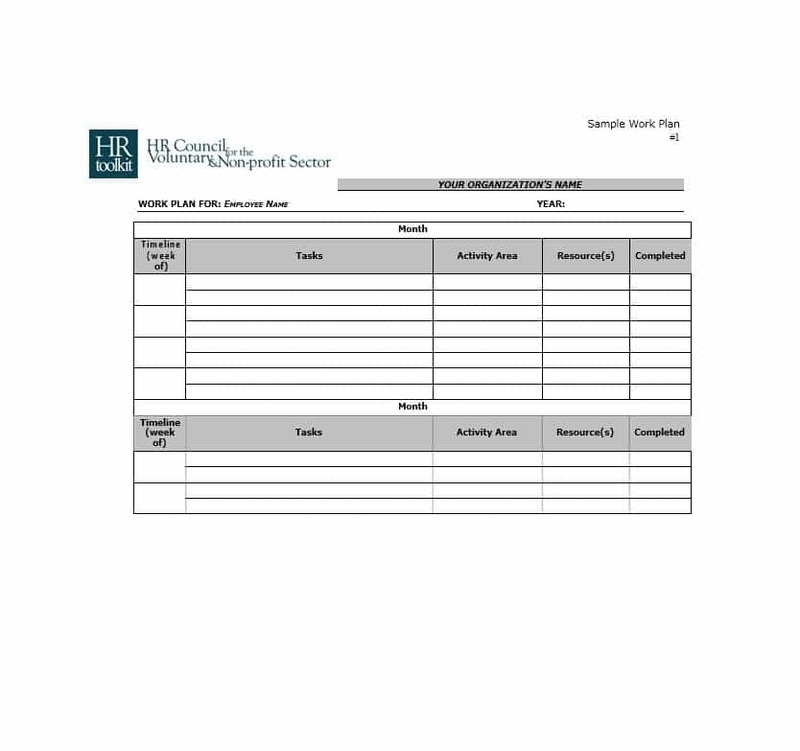 This sample is again a generic Work Plan for Nonprofits, but this one is in list format and gives a different view to the reader. It can incorporate both current data and projected data. It is extremely beneficial that way. It is also very simple to prepare and projects the information in a detailed manner. It can be downloaded and printed. For the Human resource personnel working in a Nonprofit, here is a sample Work Plan that will make their life easy. You can use this to plan your way forward and also provides a great deal of strategic information to the concerned authorities.